Since I'm focusing more on sewing & crafting for my own enjoyment, I've started working on some Fall clothing for myself first. 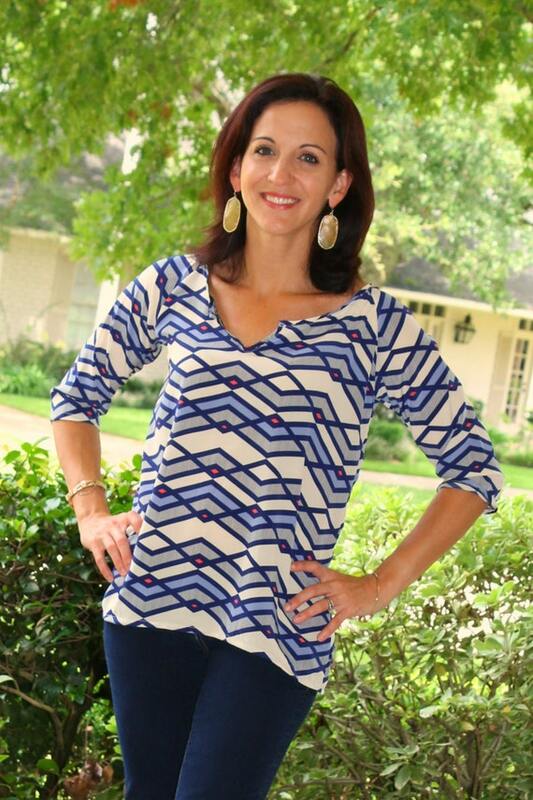 I've wanted some easy wins to get me back into the swing of sewing for fun, so I tried a new shirt pattern and put my own spin on it. I figured sharing those tweaks might give others more ideas & options too, so here's my "sort of a review/sort of a how-to". 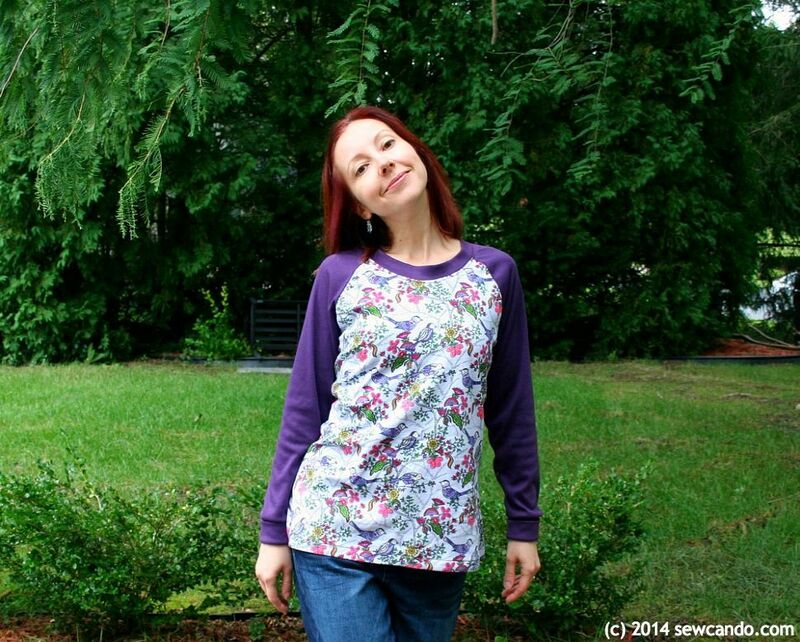 I used the Women's Raglan Top Pattern by Seamingly Smitten. Jenny had sent me a copy of this one for me to try out for myself. Right now I don't have the patience for projects that, well, try my patience, so this seemed like a good straightforward design to give a go. As you can see, I kind of went in a different direction on mine, but the plus is that it shows how one pattern really can look totally different with minor tweaks. Plus having twice as many fabric choices with the woven or knit option is another big draw for me. Heaven knows I've got enough hoarded fabric to use up around here. 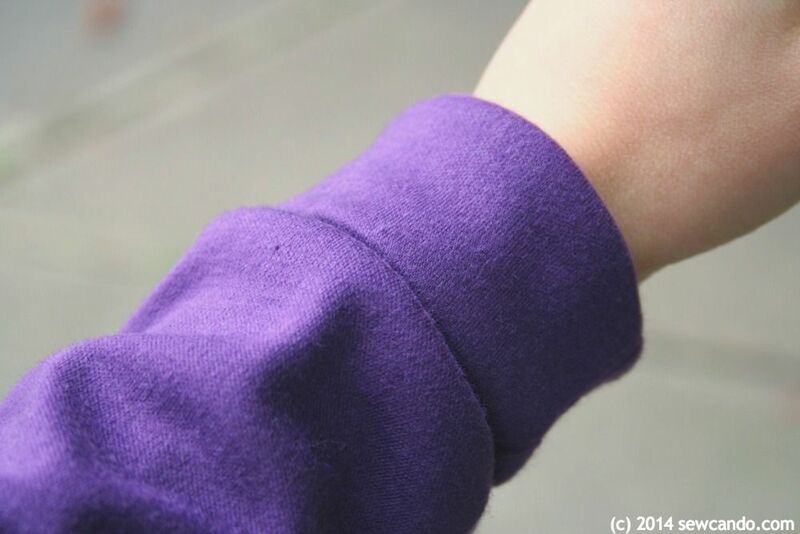 I did my shirt in a cotton knit I'd been hanging onto for about a year. I loved the print (found at Jo-Ann's & still available fyi), but wasn't sure how to make it work for adult clothing until now. 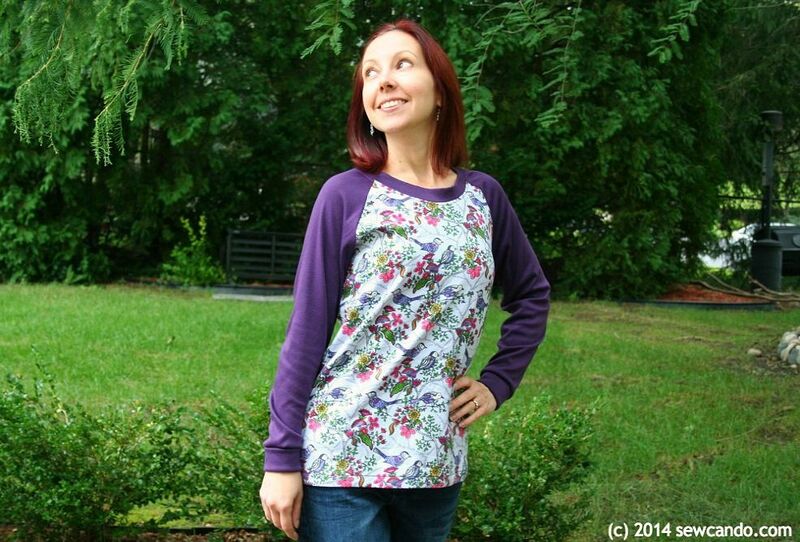 Being such a busy & colorful print, I didn't want it to "wear me", so I did the sleeves in a matching purple solid. 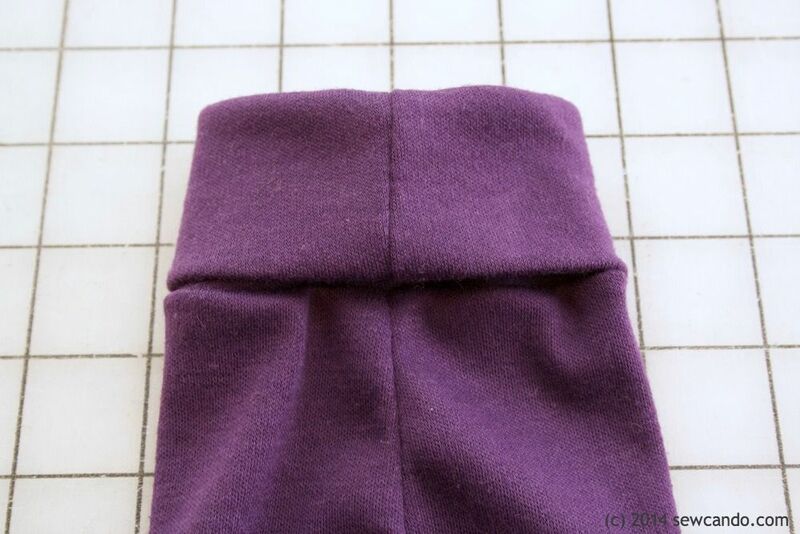 Banded collar addition: After I cut it, I realized the neckline was a bit wider than I usually wear. I have narrow shoulders and didn't want to worrying about bra straps showing. 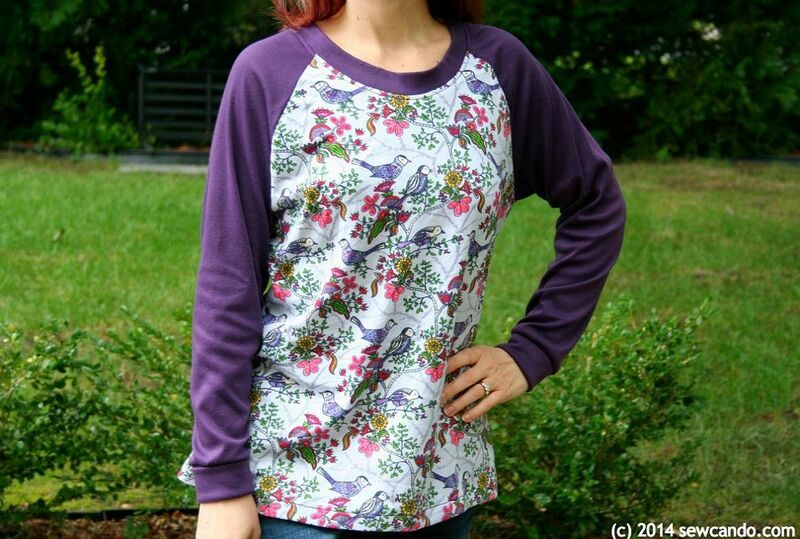 To get around that I added some extra fabric to make neckband and turned it into a ringer tee - which worked great with my solid sleeves! To do that I cut a band piece that was 4 inches high and the length of the raw neckline minus 3 inches (this knit was pretty stretchy so I needed it to be somewhat smaller to not gape). 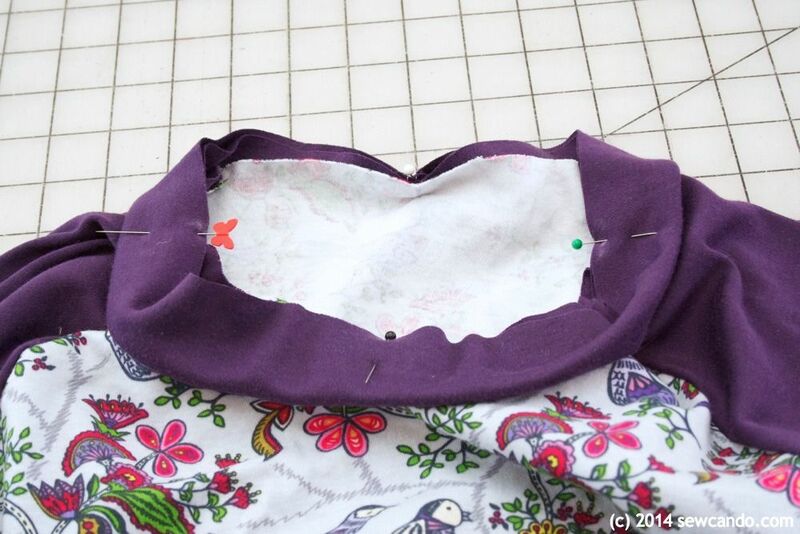 I stitched them together using a 1/2 inch seam allowance, stretching the collar band as I went. 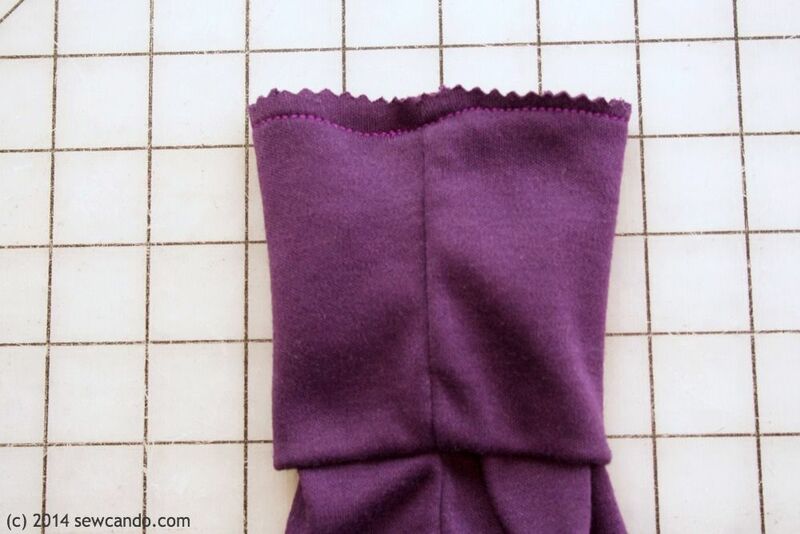 For knits you can use a serger or a regular sewing machine. 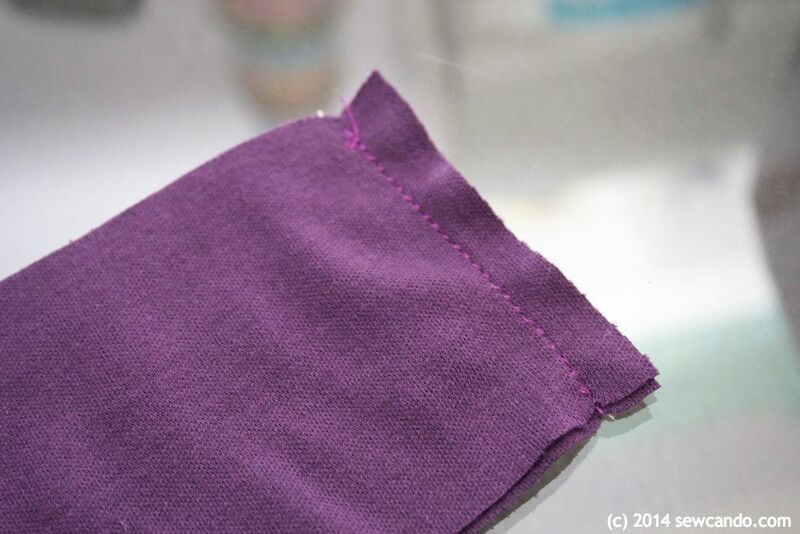 I used my trusty triple stitch (more info on that HERE), which provides plenty of give for seams and areas that get a lot of stress, like necklines and cuffs. Then I pressed it upward using my tailor's ham to get it to curve inward a bit and top stitched to keep the raw edge from flipping up on the wrong side. It would probably lay a little better if I'd been using rib knit, which would be stretchier than the main fabric and curve in a bit more. Or maybe just have made the band height a little shorter. I couldn't find rib knit in that color locally, so it's a little note-to-self for my next one...or just skip the band and cut the necklines a little higher on the pieces from the get-go. 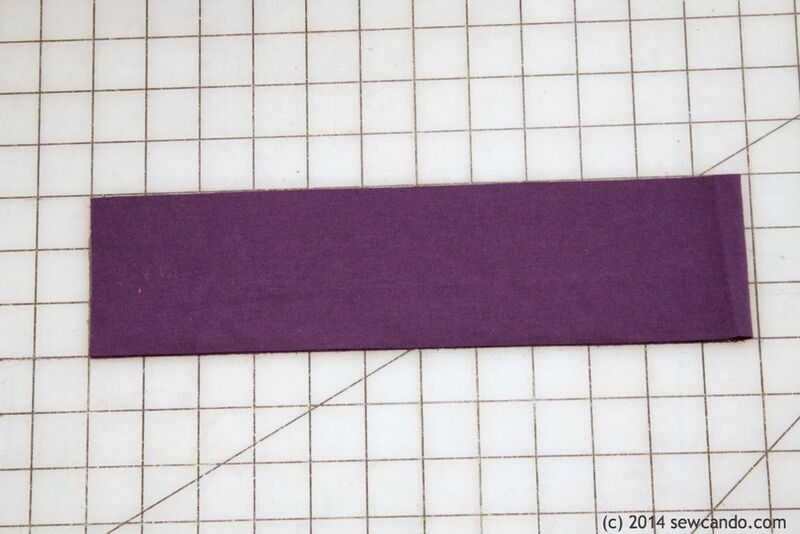 I cut two rectangles that were 8 inches high and the length of the sleeve edge (so it would be just a hair smaller once I stitched the short ends together). Even with my additions, it still came together pretty quickly. 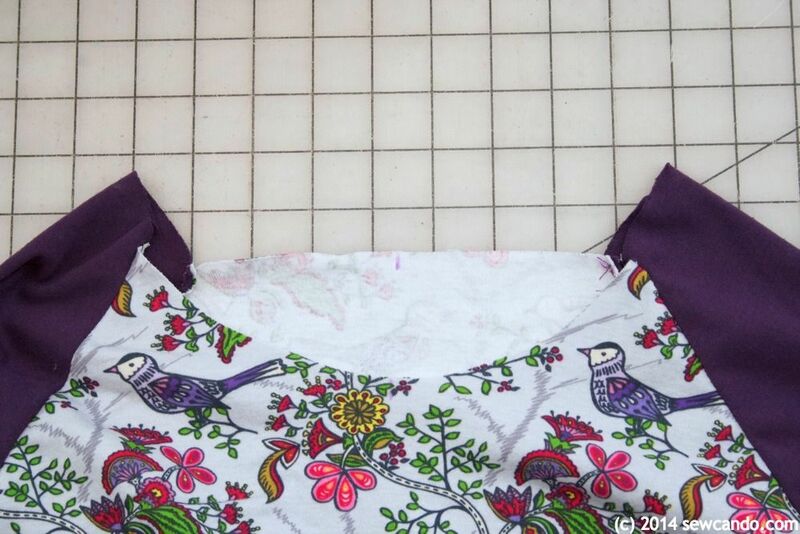 I'd definitely make this top again, but probably in the 0-2 size next time. It's really comfortable and I like that I can give it a few extra looks with these modifications. 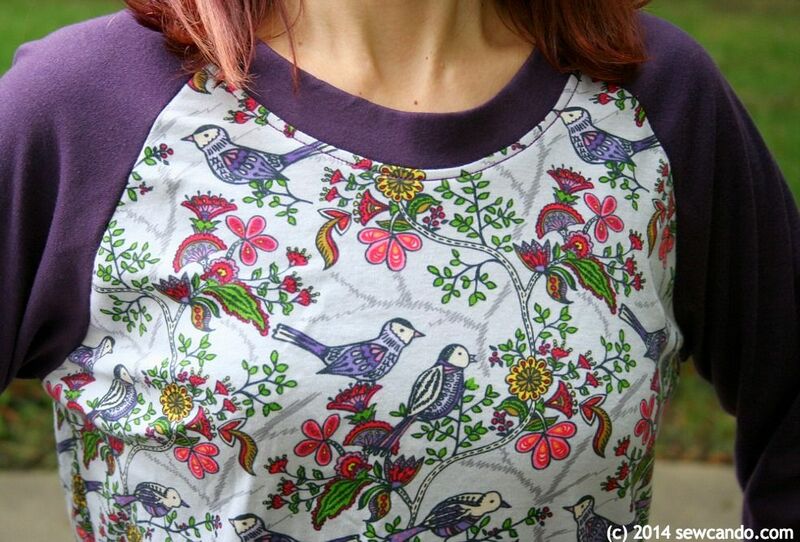 You can find the Women's Raglan Top pattern HERE and can see more shirt examples other people have sewn (with different fabrics, sleeves and necklines) on the Seamingly Smitten Facebook page. Seamingly Smitten is a paying featured advertiser at Sew Can Do. I received this pattern to review. The opinions are completely my own, based on my honest experience using & purchasing patterns from this shop. 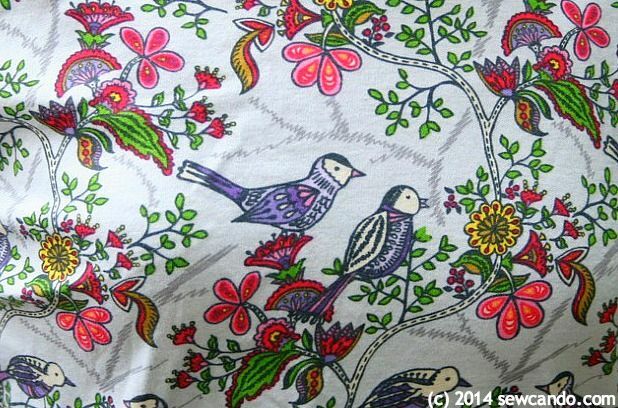 I love your shirt---the style, bird print, and color choices are great! Thanks - It's become one of my favorites (I've already worn it twice in less than a week!). I like the changes you made. I wouldn't have chosen that fabric for an adult tee, but it works really well with the solid! Thanks Charity. 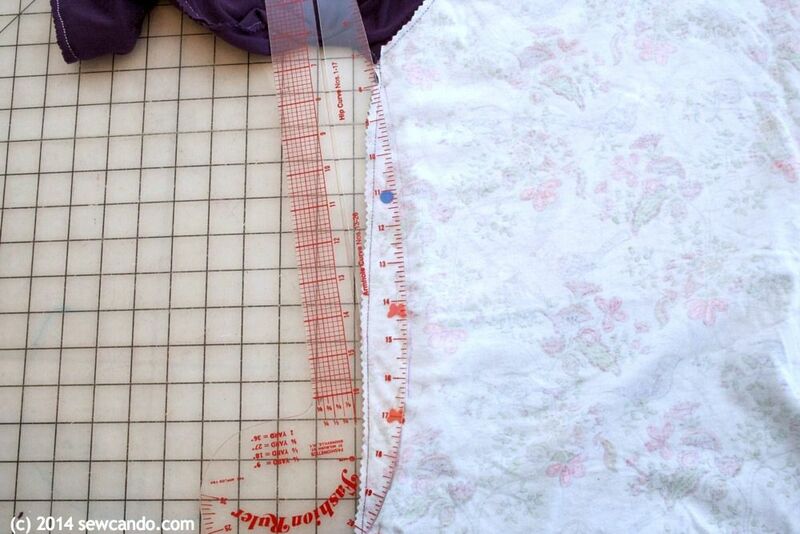 Being able to make minor changes and get more mileage is one of my main needs for loving a pattern. So many times they can be a sort of one-hit wonder that never gets reused. I'm a kid at heart, but was worried about the print being too much by itself. 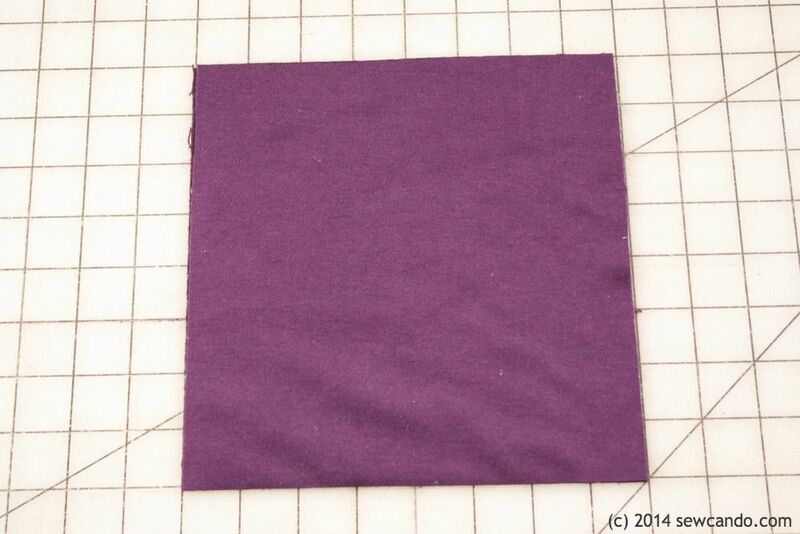 It was serendipity to find that perfect purple solid in my stash! That shirt is so cute! Love that you made it your own too! Great job. Thanks very much. It feels good to have made something I like to wear and not feel like it screams "I made this myself". the link to the pattern does not work. do you happen to have another link?? thanks!